Okay! This is it! The final 2016 Gathering of the Juggalos post and now I can go on vacation! Because I was just trying to figure out how to get these up as fast as possible this gallery is massive. This gallery has over 400 images and I am gonna scroll through them now and see if I see anything worth talking about. Let’s go! 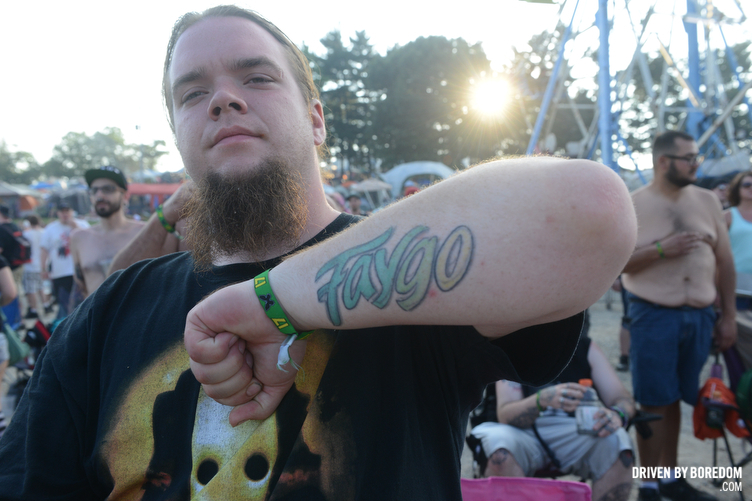 Most of these are just random crowd shots and juggalo portraits that didn’t make it into any of the other galleries. I shot a lot of face paint and tattoos and signs for Noisey and the LA Weekly (links below) so there’s a lot of that stuff in here. Can you spot the selfie these girls made me take with them? There’s a bunch of Wolfpac and Busey Beauty stuff in here so lot’s of eye candy if you are creepy like that. There are some party photos in here too from the late night party tents they have set up. Also these images are all in order so you will get to night time photos and when day time photos hit again that’s the next day. That’s probably common sense but whatever. Day three and day four have some juggalo fight club stuff in it. I have been covering that for years but it didn’t really deserve it’s own post this year. Sadly one of my favorite juggalos, Nebraska Warrior, finally lost his title to a wrestler named Strychnine which I assume he spells incorrectly cause that’s a real juggalo thing to do. It was a good match though. 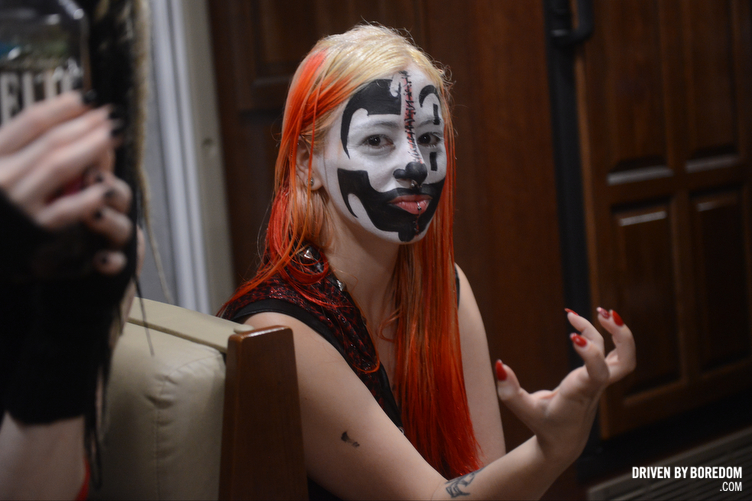 There are a bunch of photos from Miss Juggalette which I shot for the LA Weekly. It’s just girls standing on stage but there was a nice moment when the winner talked about her social anxiety and how she just entered to help get over her fear. Everyone started crying and hugged her. I was rooting for her because she did a Jessica Rabbit performance and was also not wearing underwear. Anyway that’s kinda it. Lemme just throw up the links to all my coverage down here so I can come back to this later to see everything if I need to find it and you can lurk it as well if you haven’t already. And now finally click here to see the rest of the photos from the 2016 Gathering of the Juggalos!